Inspector Clouseau, the lovable buffoon with a knack for mispronunciation, is MIA! The terrifically talented Peter Sellers "induces gales of tonic laughter" (The Hollywood Reporter) in this wild adventure co-starring the full Panther ensemble cast, including David Niven, Herbert Lom, Burt Kwouk and Capucine, along with newcomers Joanna Lumley, Richard Mulligan and Harvey Korman. 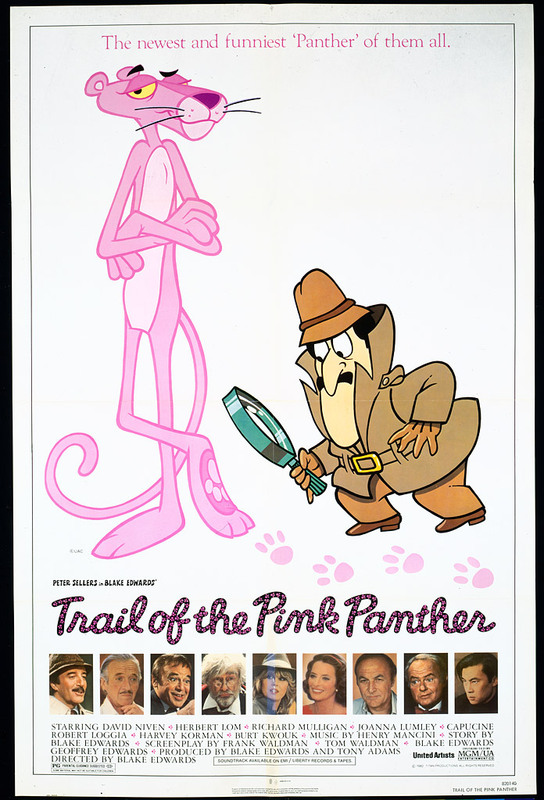 The Pink Panther diamond goes missing - and then en route to the scene of the crime, Clouseau's plane goes missing! A sleuthing reporter (Lumley) is assigned to memorialize the fabled detective, but in the process, she comes up against some strange behavior from a delirious Dreyfus (Lom) as well as Clouseau's duplicitous ex-wife (Capucine), his lusty father (Mulligan) and The Phantom (Niven)!